The Financial Intelligence Centre (FIC) is increasingly taking centre stage in the fight against corruption. But little is known about this institution. 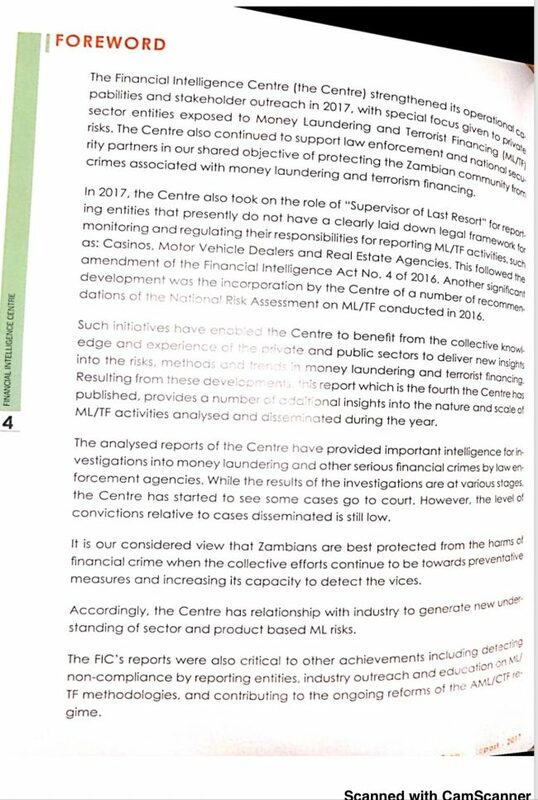 The Financial Intelligence Centre calls itself as the supervisor of last resort and was created by the Financial Intelligence Centre Act No. 46 of 2010. As a sole statutory agency, it’s expected to be dedicated to providing timely, high quality, impartial and actionable financial intelligence to eliminate financial crimes. 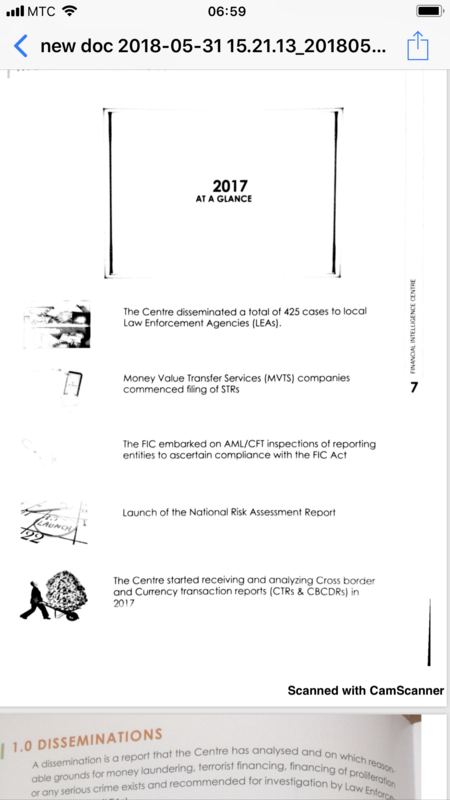 In 2016, the Financial Intelligence Centre was designated as a lead agency to coordinate the national risk assessment process together with other law enforcement agencies, ministries, reporting entities to identify and understand the money laundering and terrorist financing risks and recommend risk based approach to mitigate the risks. The Chief Executive Officer/Director General is appointed by the Board and approved by the Minister of Finance. The current holder as DG is Mary Chirwa-Tshuma, a former official at the Drug Enforcement Agency (DEC). Banks are obligated to provide within 3 working days, to the FIC any money transferred locally and abroad above the threshold of $10,000.00 as prescribed by SI NO 52 of 2016. 4. Payment instructions and purpose of payment. For those leaving the borders should declare any amount above $5,000.00 to the customs official or risk such funds to be forfeited. 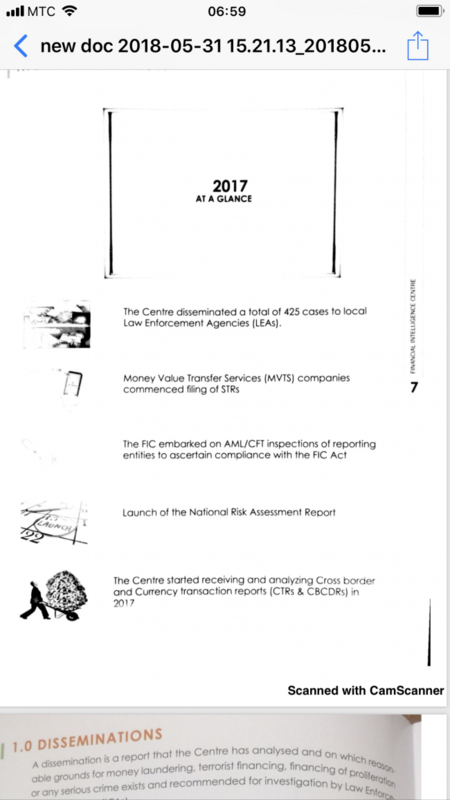 The FIC has just published its annual “Trends Report for 2017’ documenting what is prevailing in the Financial Systems in Zambia. 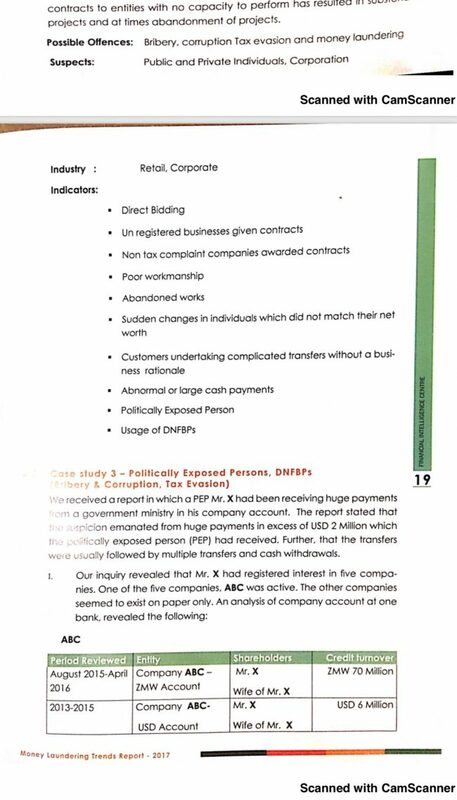 The report has exposed rising incidences of concern related to Direct Bidding, unregistered businesses given contracts, non-tax compliant companies given contracts, poor workmanship and lack of value for public money, abandoned works, financial transactions without business rationale, abnormal large cash payments and use of designated non-financial business and professions. Five cases were under prosecution, twenty-three under investigations and one conviction. Corruption – Value of suspected corrupt transactions amounted to K6.3billion related to public procurement contracts. Procurement Corruption- FIC investigated 624 cases noted high increase in suspected corruption in relation to public procurement in government and quasi government institutions. It also noted a collusion with Politically Exposed Persons(PEP), and management officials. 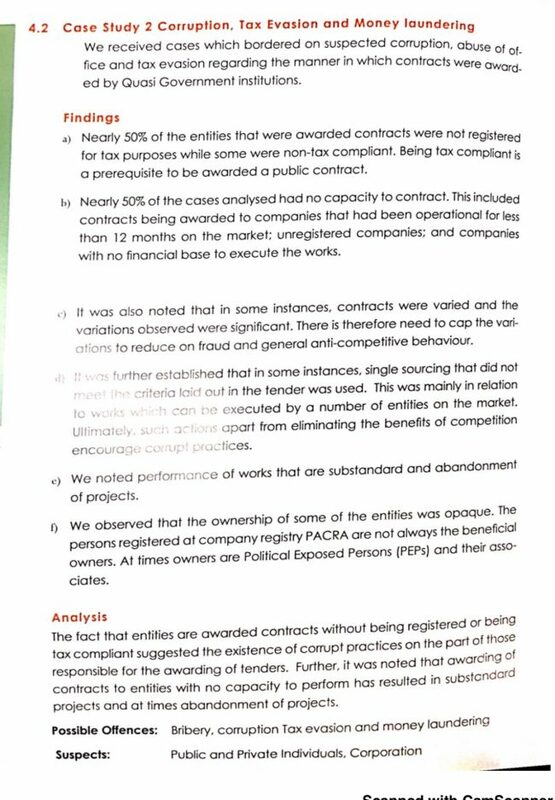 It also expressed worry at management decision to take away competition and value of tendering by engaging in Direct Bidding or single sourcing procurement.